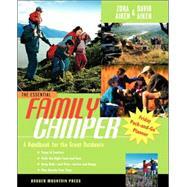 Family Travel Books - Books on Sports - Sport Books: Catalog of books about your favorite sports. 2019 Family Travel books on sale now. Buy your 2019 Family Travel books with us today. We have many Family Travel books to choose from and each purchase comes with the ease and convenience of Sportspool's online experience. We hope you find the Family Travel book that is perfect for you! "'Hassle-free camping is a pleasure, and this field-tested resource is a complete guide.' --Outdoor Traveler"